Overview: This ancient Greek dog has a long history of being a helpful companion. They are able to adapt to any situation, even an apartment. Character: The Alopekis loves to play and is an intelligent, social animal. 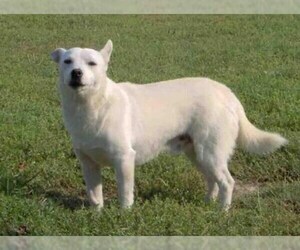 Temperament: Alopekis have a pleasant disposition and get along with gentle children and visitors. Care: Very little grooming is needed. An occasional bath for doggie odor and a bit of brushing during the shedding season is all this breed requires. Training: This clever breed accepts training easily. Activity: This breed likes to run and play. A fenced yard is great, or frequent walks if kept in a small house or apartment.